Brrrrrrrrrr, it’s been getting a bit chilly round here of late! I knitted Jet these new leg warmers to go with her new winter cardi (which I didn’t even nearly knit and bought from John Lewis instead). They knitted up during three evening’s of loafing on the sofa watching Mad Men – what could be better? 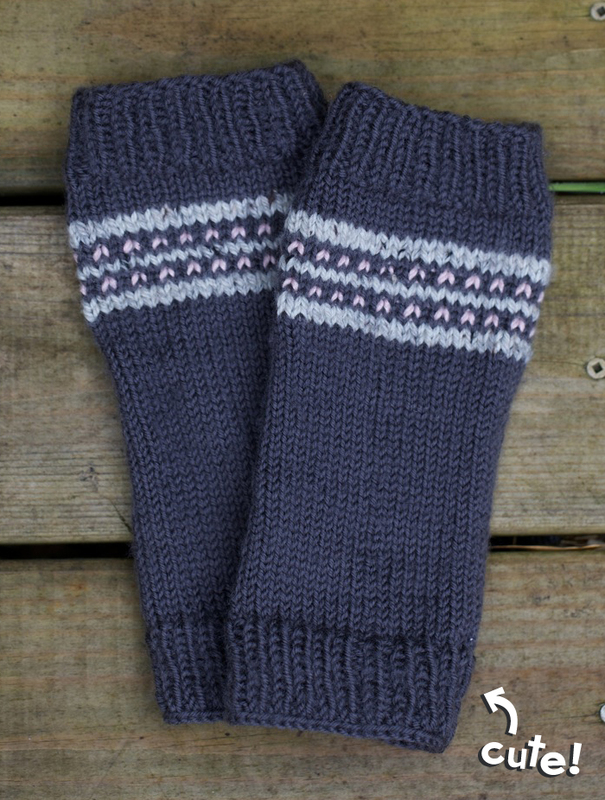 I think knitting small people leg warmers might become addictive – it requires a good level of brainlessness for me and is quick enough for you to see the rewards before you get bored (my kind of knitting!). Pattern fits someone small – maybe 18months-3years or something. Make another, weave in ends and you’re done! Make another, sew up seams to make a tube, weave in ends and you’re done! These look adorable. How much yarn is required for the pair? Also, what length circular needle is best? The simple answers here are ‘I don’t know’ (sorry! ), but you will find that they don’t use up much yarn at all as they are only for little legs! They are great for using up any old half balls you may have left over and as for the needles – just something short should do it. I tend to use double pointed needles for this sort of thing! Good luck – would love to see a pic if you do gat any knitted up!